Classic Orange tone and modern technology in one. The new Orange OR15H guitar amp takes its lead from the legendary graphics amps of the '70s, creating the classic Orange '70s tone is a new compact package using the latest technology and construction materials. 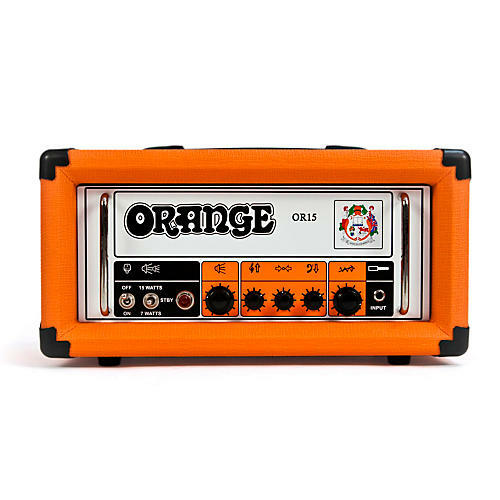 The OR15H offers an alternative specification for those looking for a 15 watt Class A guitar amp, still delivering the vintage Orange tone and for the first time offering the "Pics Only" styling in a smaller package with a wooden chassis, three band EQ and FX loop. With incredible vintage tone and unmatched versatility, once heard you will be hooked on the OR15H for life. Call or click to order your OR15H today.